This month’s webinar with Jason Billingsley covered various areas packed with examples from real online retailers. You can catch the ecommerce innovation webinar on-demand. Or, you can flip through some of the examples, see the live sites and catch up on related blog posts you may have missed. thinking about the possibilities, whether you’re a small player or a multi-million dollar e-tailer. Innovation may exist in another segment / industry that can be applied to your business. And it doesn’t have to be a visual innovation – processes like customer service, fulfillment and order management can also have a profitable impact. Blog post: Is Flattery a Viable Selling Strategy? Now offline, but we blogged it: Video Valets: An Ecommerce Trend? 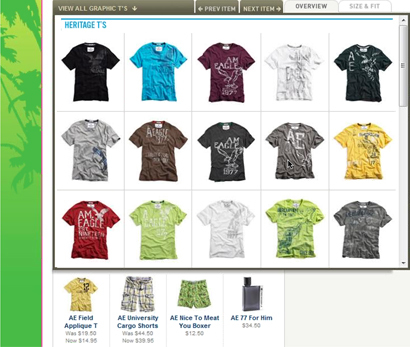 Blog post: Social Commerce on Product Pages – Why Not? Has filtered navigation for bathing suits to narrow products by “Anxiety Zone,” – if you have short find suits that elongate the leg, etc. 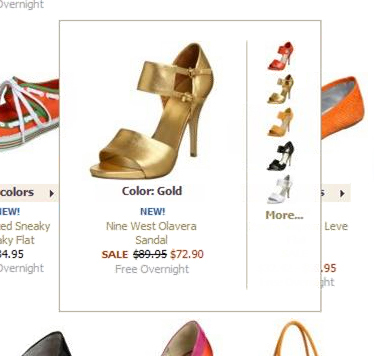 Hover over a product to view more colors – you’re missing out if you’re hiding colors! Bazaarvoice’s Ask & Answer feature lets the community answer each others’ questions about fit, quality etc. 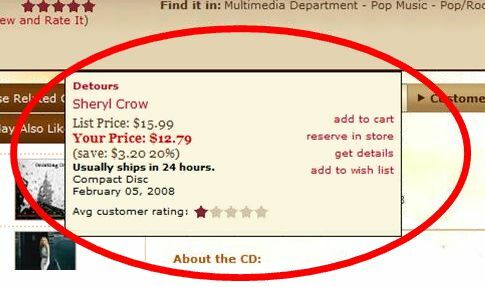 Blog post: Social Commerce on Product Pages: Why Not? 5. Prove it, sell it – If you need to prove it to your bosses, just get your hands dirty in an innovation on your own (like a side project), then you can show some results which can be rolled out on the main site. 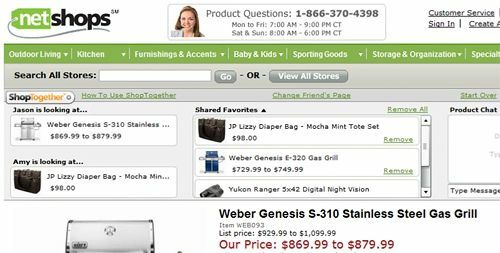 About rich user interfaces – does single screen checkout make sense? Jason talked to a retailer (Intuit?) that tested 95% regular vs. 5% one-page and found single didn’t convert as well. Intuit hasn’t moved fully to single screen but continues to test the process. 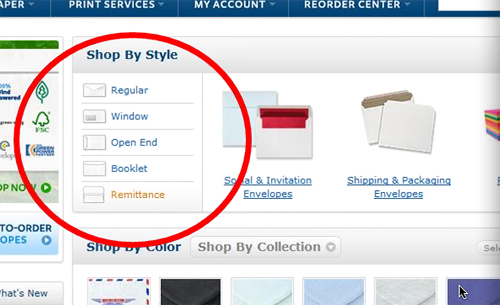 Action Envelope is a good example of a one-page checkout. Allurent and Liquid Pixels are service providers for RIA (rich interface applications), check out Jason’s Internet Retailer interviews with Allurent and Liquid Pixels. Bernadine Wu from Fit For Commerce believes some innovations actually take a step back. 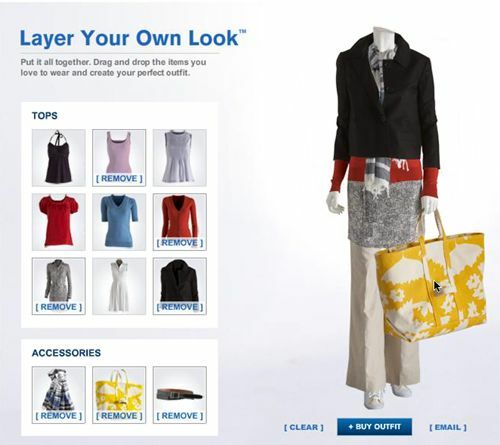 You don’t need to use the newest trends you may be to use dynamic style sheet, which could have bigger impact on conversions than crazy, dynamic recommendation engines, for example. Do RIA’s improve conversions? Testing tools for rich interfaces? Attendee comment: Woot is a Steep-and-Cheap style site which uses humor, not blah boring copy. Good point that people want to engage with people. Office Max navigation – whether that’s effective innovation, not sure. B2B and B2C not that different these days, B2B may want to leverage preferred contracts or supplier lists or improve processes like order management. Color innovation – do colors have impact? It has a lot to do with brand, if you’re a multi-channel retailer you want some consistency. Testing is recommended. 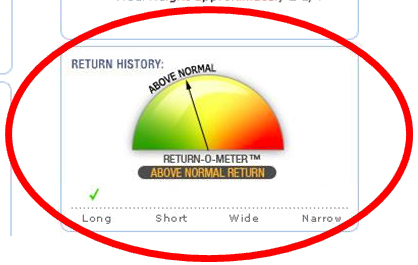 One thing to keep in mind, don’t make call to action button the same color as everything else. International companies, how do you know when to stop or go? Things that work in Asia/Europe might not work in North America, and vice-versa. Without geographical market knowledge, you’re taking a risk. Some retailers will use richer color pallettes for Asian stores than US/Canada (oranges vs. blues). Also, countries used to higher broadband speeds may expect your site to work much faster than other countries tolerate – so don’t add something that will slow down your site just to be innovative.